Barbara A. 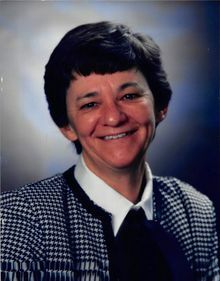 (Pariseau) Tremblay, 78, of Manchester, passed away February 6, 2019, peacefully in her home after a brief illness. She was born on March 24, 1940, to Henry and Ellen (Shea) Pariseau. Her father served as Manchester's Mayor for a brief time before his death in 1970. Barbara graduated from St. Joseph's High School for Girls and was a lifelong resident of Manchester. After being a stay-at-home mom for several years, she worked at St. Anthony's Elementary School, Amoskeag and TD Banks and Bank One Asset Management as a receptionist. Barbara was an active member in her church and community, volunteering at the former St. Patrick Church, the Parish of the Transfiguration and Manchester East Little League. She supported many philanthropic causes, donating to schools, the United Way, American Heart Association, and the American Lung Association. Her happiest times were spent with her children and their families, her family, friends, and her beloved dog, Mikey. She was an avid fan of all New England sports teams, especially the Celtics, Patriots, and Red Sox. She was predeceased by her beloved husband of 43 years, Albert J. Tremblay and two grandchildren, Jake Henry and Megan Elodie. Family includes three sons, Reverend Albert J. Tremblay, obl.SB, of Newton-Plaistow, Brian H. Tremblay and his wife, Diane, and their son, Brian II of Gilmanton and Jeffrey A. Tremblay and his wife, Tracey, and their son, Kelan Laine, of Portland, ME; her golden retriever, Mikey; and several aunts, uncles, sisters, brothers, cousins, nieces, and nephews. A Mass of Christian Burial was celebrated on Saturday, February 16, 2019 at Parish of the Transfiguration, 305 Kelley St., Manchester. Committal prayers followed at St. Joseph Cemetery, 448 Donald St., Bedford. In lieu of flowers, memorial donations in Barbara's name may be made to the American Lung Association at www.action.lung.org. May you RIP, I loved our time working together at Amoskeag Bank in the 80's.....you were the best!!!! Auntie Barbie and her Face book comments will be missed. Wonderful service today and happy to see lots of family. Give my Dad a hug from us when you see him. Dear Tremblay & Pariseau Family, I'm so sorry for your Loss. I never got the chance to meet Barbara, but I knew her Brother Bob from the camp, & I went to Gramer school with her Sister Marilyn. She had that Beautiful Pariseau Smile. I'm sure she will be missed but not forgotten. Praying all find a place of Peace & contentment, and know all of you are Loved. My prayers and deepest sympathies to the Tremblay family. I am so very sorry for your loss. She will be missed greatly. You are all in my thoughts. Auntie Barb Rest In Peace. You will be missed by so many.